These systems appear to include office admin desktops, CAD workstations, email and print servers, employee laptops, payroll systems, SQL databases, lost and found property terminals, and station kiosk PCs. It appears the malware was able to reach the agency’s domain controller and compromise network-attached Windows systems. There are roughly 8,500 PCs, Macs and other boxes on the agency’s network. 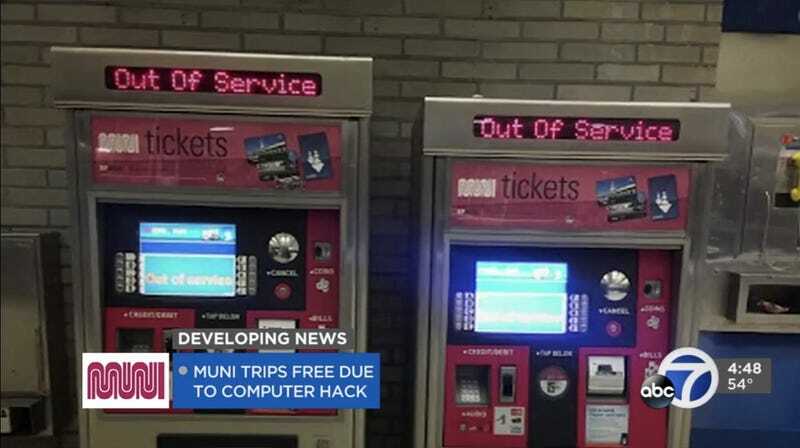 Citing an unnamed transit authority source, KPIX-TV reports that the computer system had actually been hacked days beforehand, but officials declined to provide additional information on the attack. “Because this is an ongoing investigation it would not be appropriate to provide additional details at this point,” a Muni spokesperson told the station.